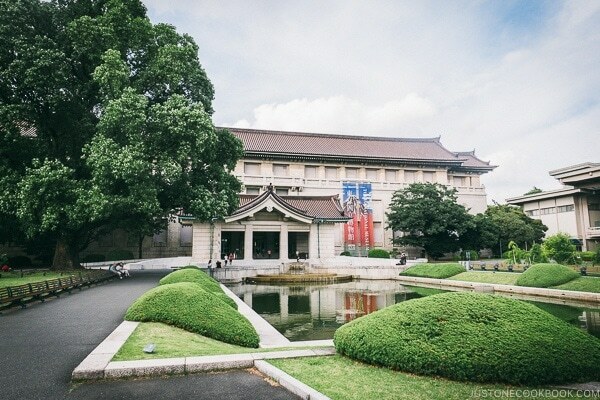 Located inside Ueno Park, Tokyo National Museum is one of the largest art museums in the world with an extensive collection of Asian arts with the focus on Japan. 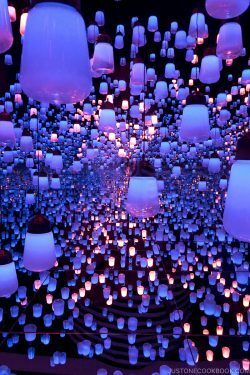 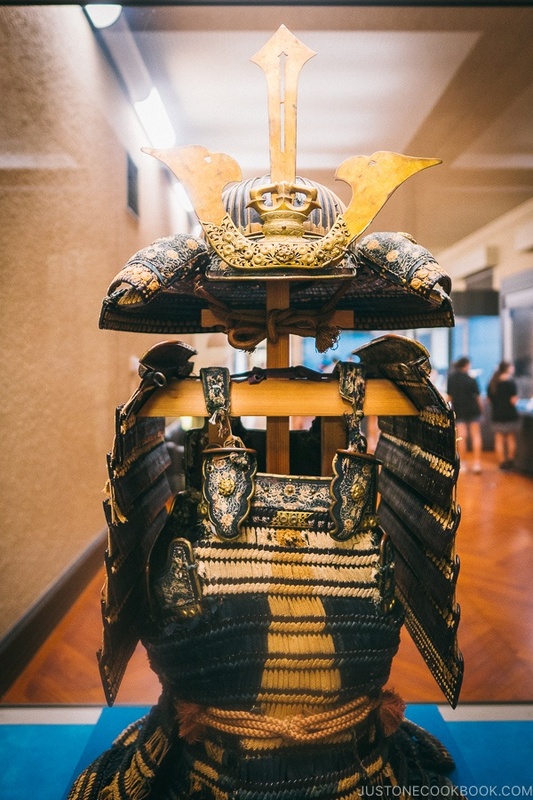 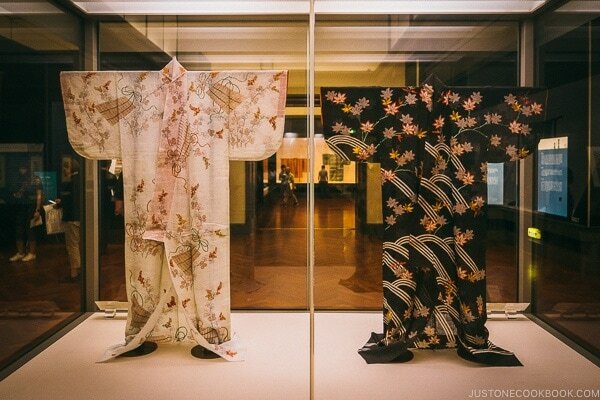 Japan has four national museums and Tokyo National Museum is the oldest and houses the largest collection of art (the rest of the national museums are in Nara, Kyoto, and Daizafu). 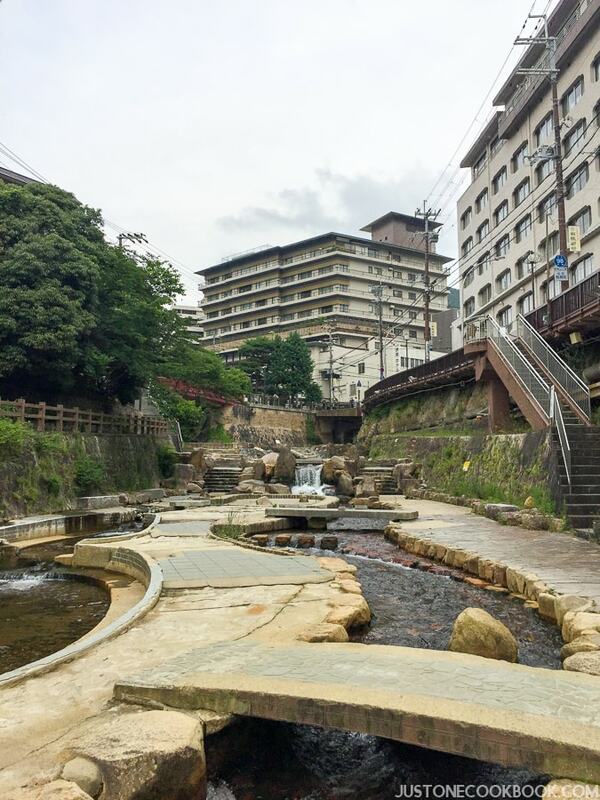 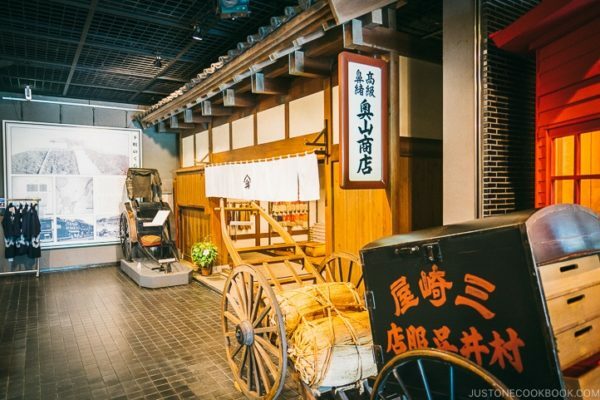 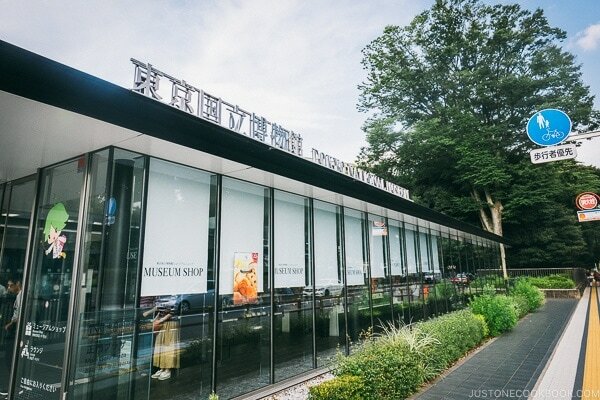 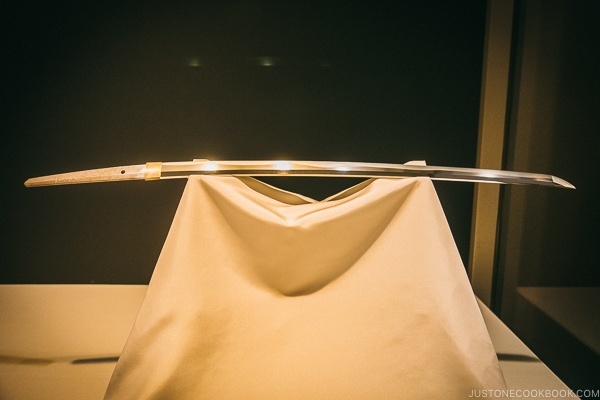 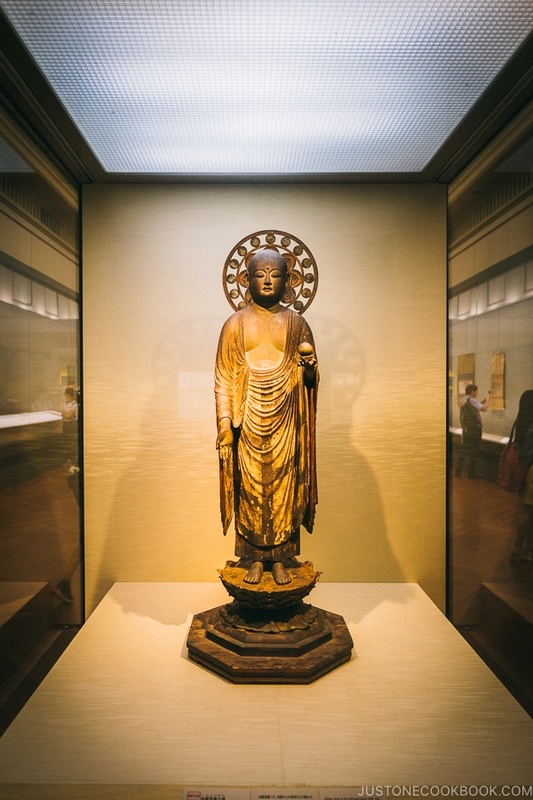 It’s ranked 6th in the world based gallery space and holds an impressive collection of Japanese National Treasures and items of significant cultural importance. 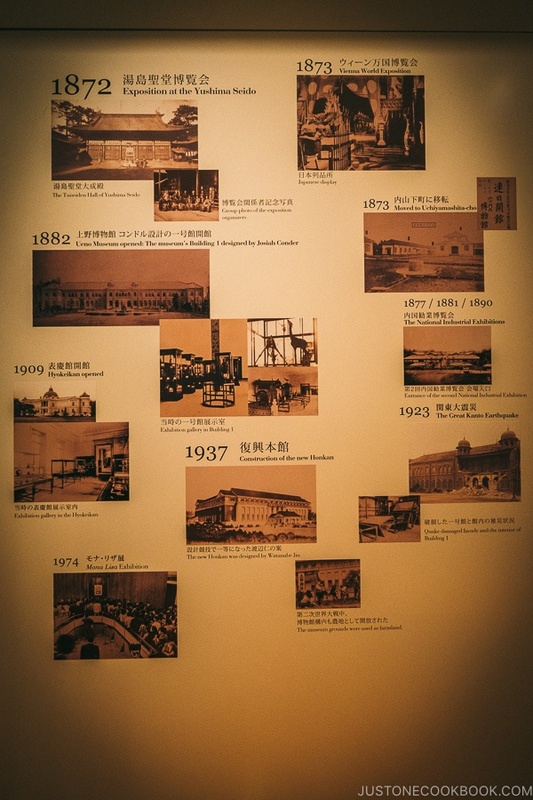 There are more than six buildings that makeup Tokyo National Museum, including Toyokan (東洋館), Honkan (本館), and Hyokeikan (表慶館). 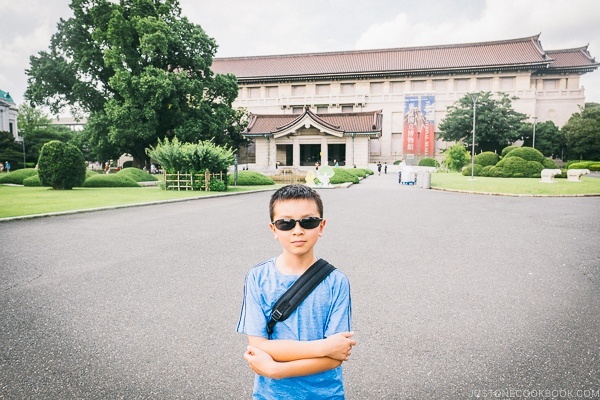 As the museum is quite large we only had time to go through Honkan during our visit. 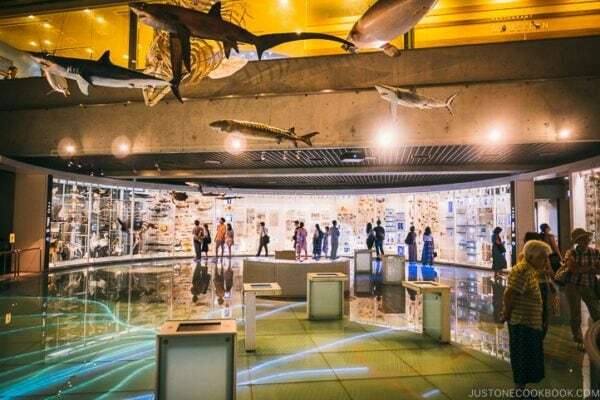 If you plan on visiting all the buildings then give yourself at least a day to enjoy the amazing collections of art and history. 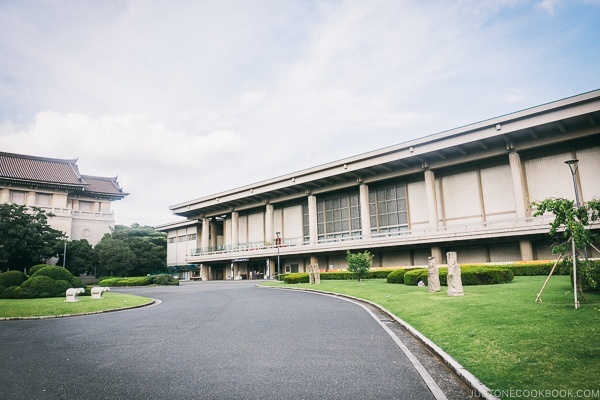 The Honkan (main gallery) is also known as the Japanese Gallery. 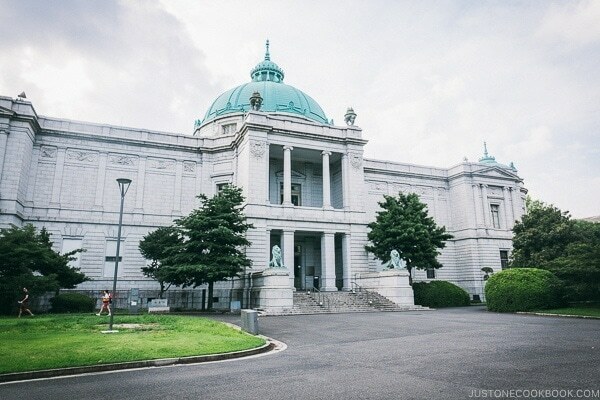 It is spread over 2 floors with 10 large rooms on each floor. 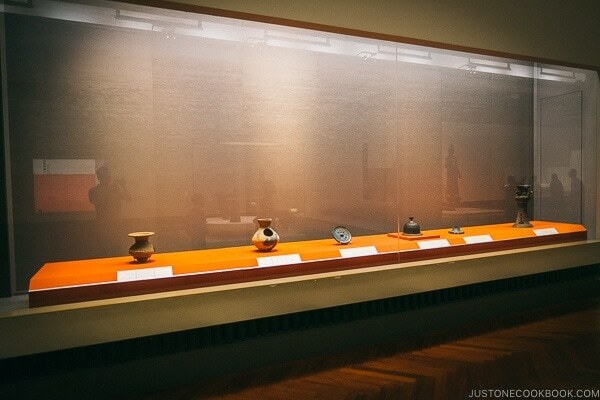 On the second floor, the art and historic pieces span 16,000 years from Jomon period 縄文時代 (14,000 BC) to Edo period 江戸時代 (~1860). 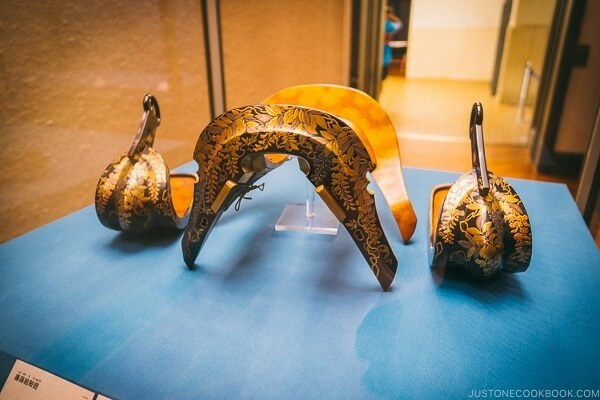 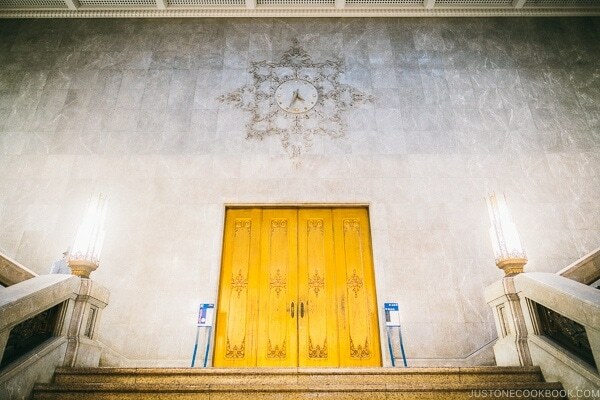 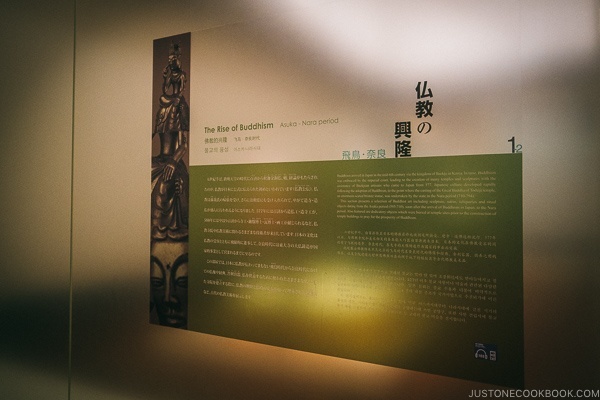 On the first floor, the rooms are organized based on themes such as sculptures, metalwork, swords, etc. 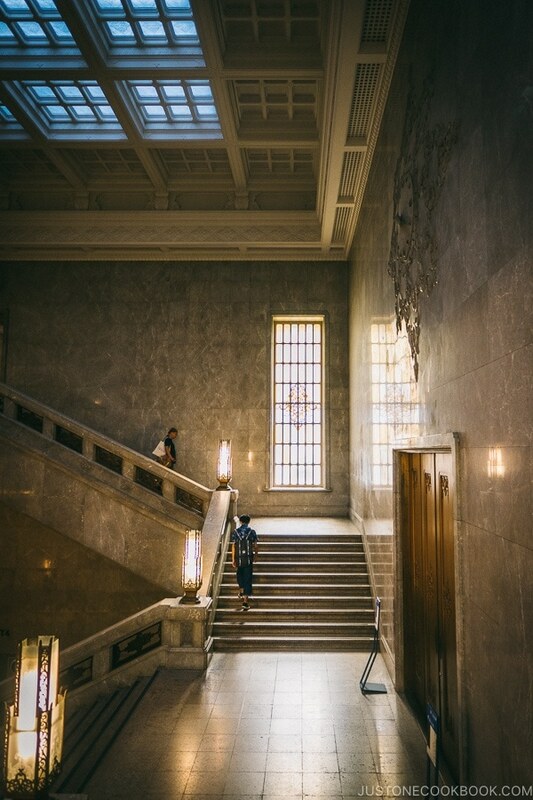 Staircase leading to the second-floor galleries. 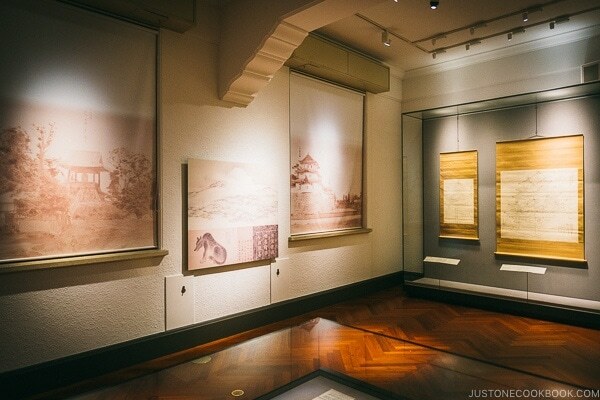 If you visit the second-floor galleries in order (1-10), you can enjoy Japanese art in the chronological order through its history. 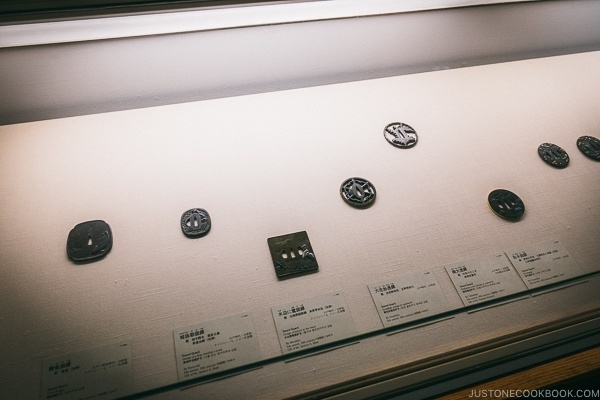 From the Jomon, Yayoi, and Kofun periods through the rise of Buddhism, Heian, Edo, and other periods of Japan. 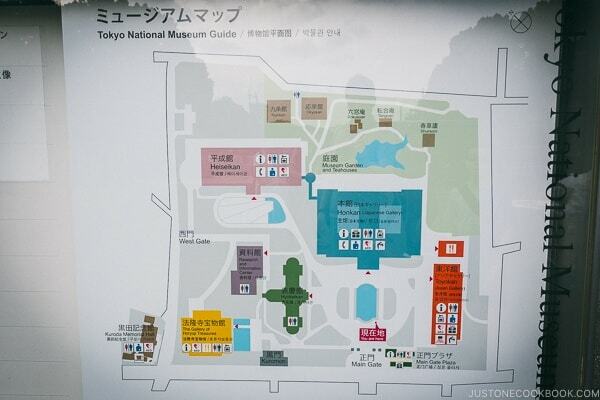 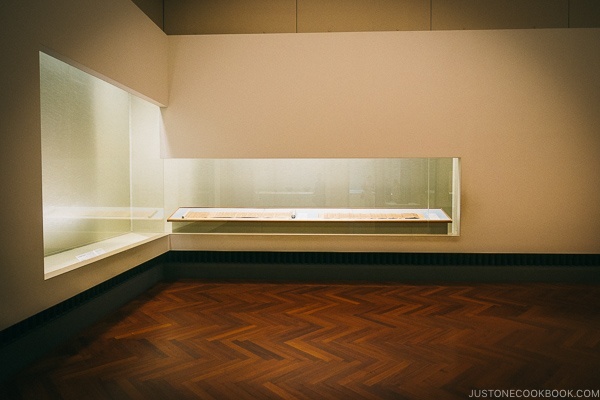 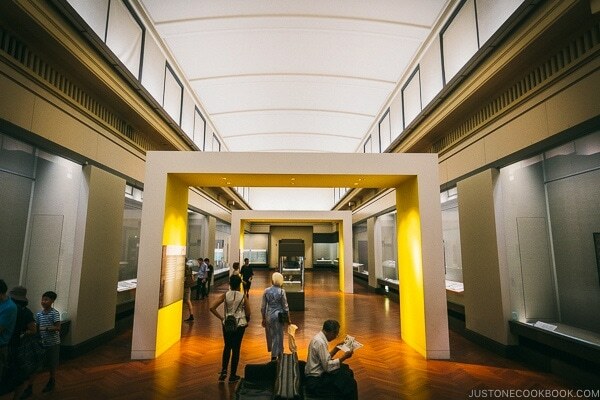 You can view the Tokyo National Museum floor maps here. 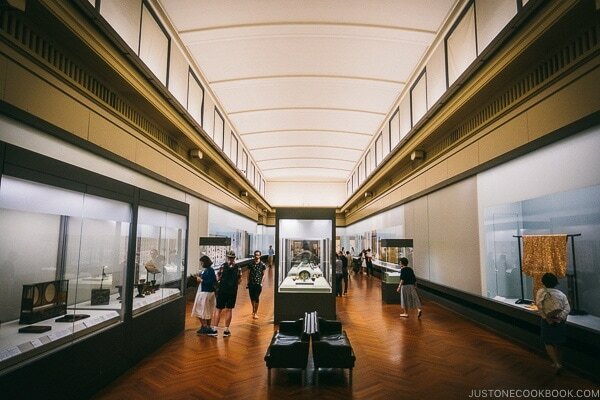 All the rooms in the gallery are grand and very spacious. 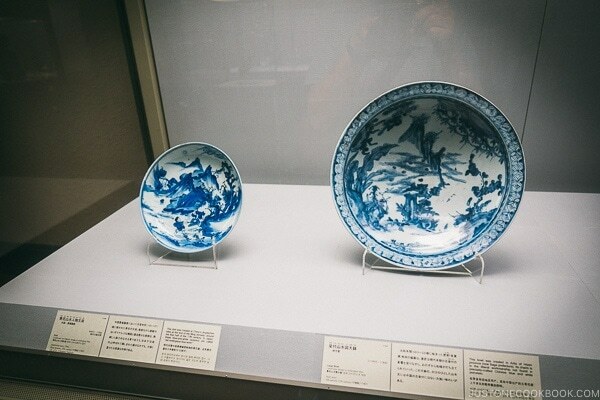 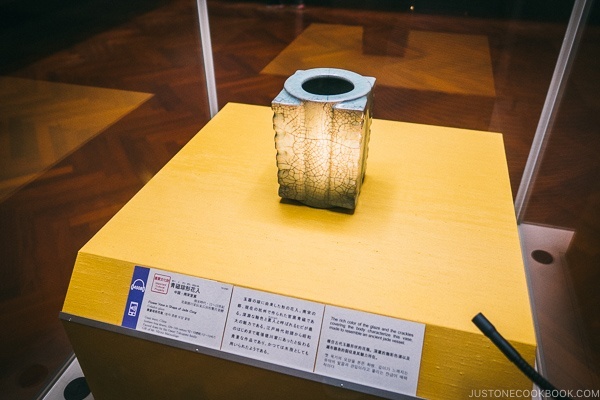 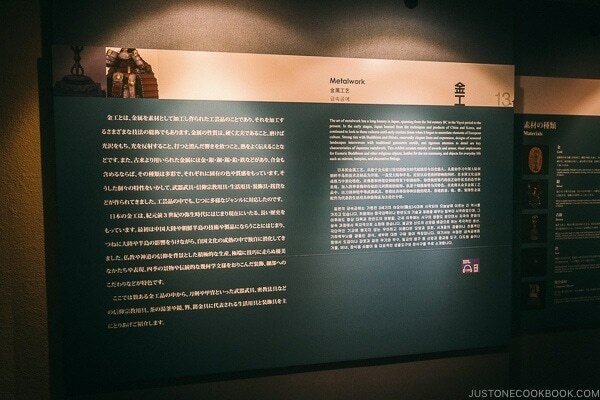 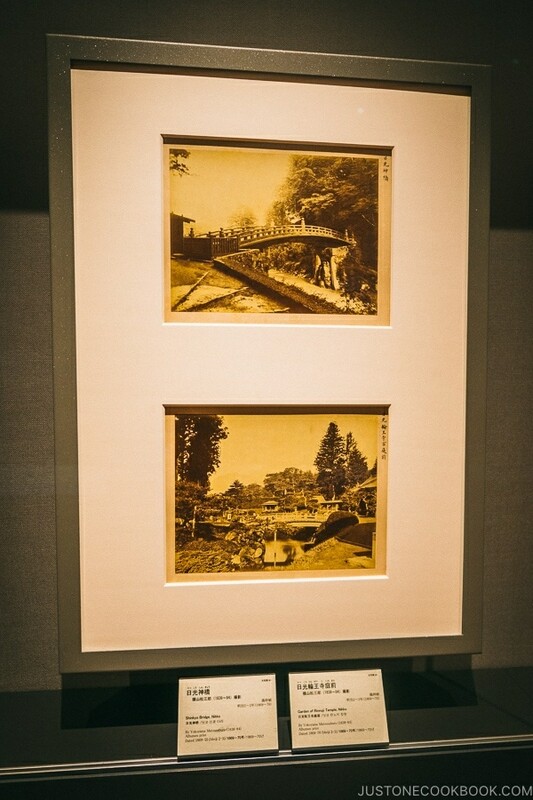 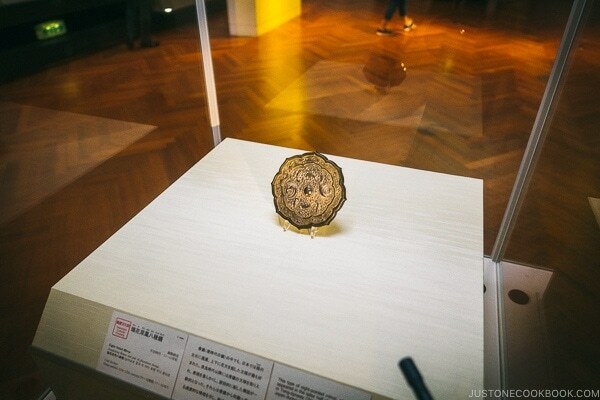 The display items have English descriptions next to them so don’t worry if you can’t read Japanese, you can still fully enjoy the Tokyo National Museum’s collection. 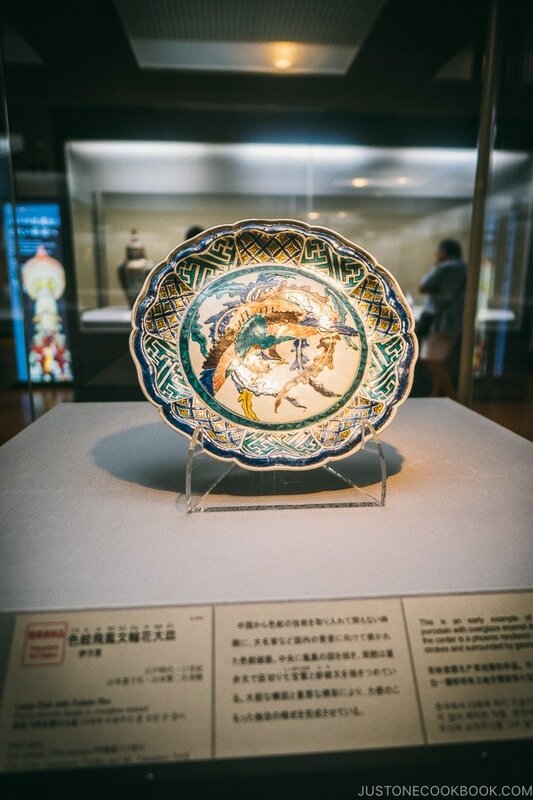 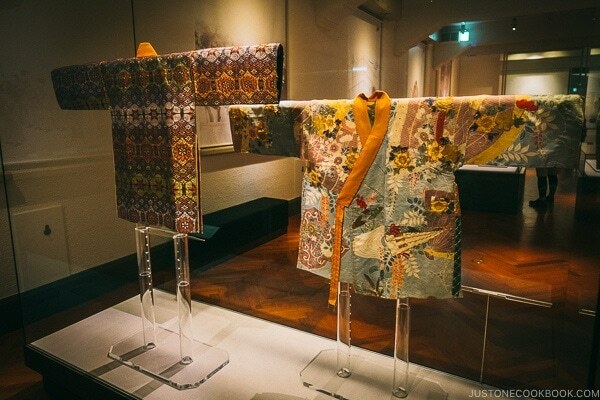 On the first floor are rooms 11 through 20, the art and historic pieces are arranged by themes including sculpture, lacquerware, metalwork, as well as items from Ainu and Ryukyu people. 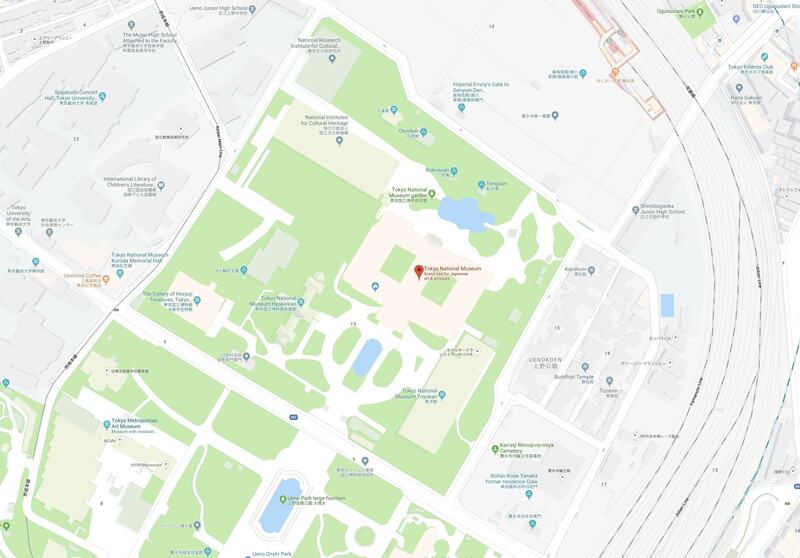 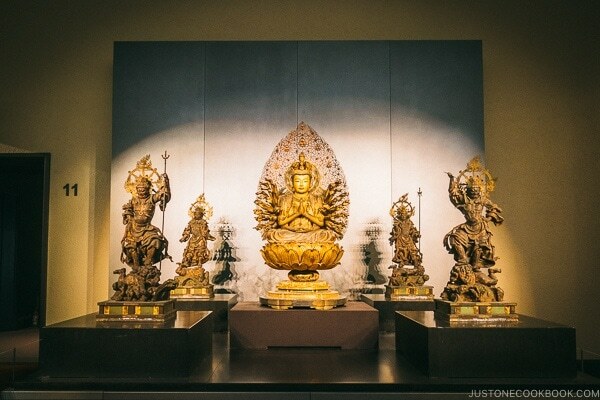 If you are in a time crunch during your visit to Japan but still want to visit the Tokyo National Museum, they had created a 30 min itinerary for visitors called “Highlights of Japanese Art” that you can browse through. 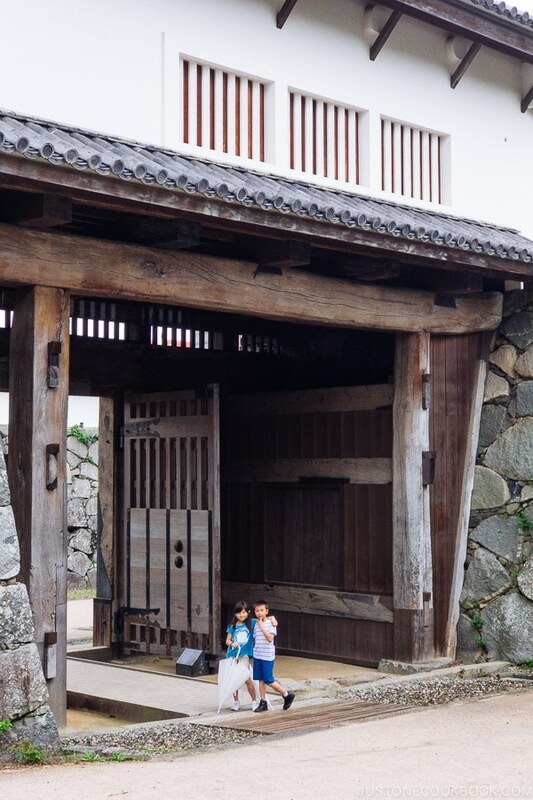 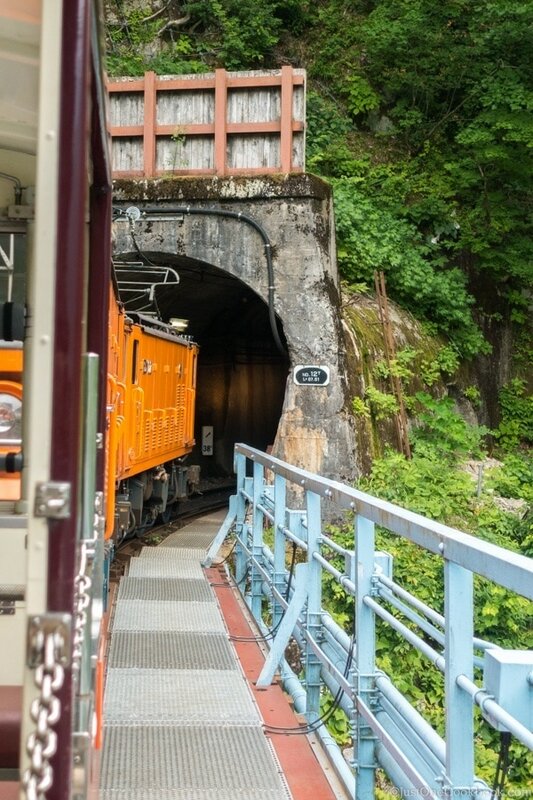 The entrance fee (in Oct 2018) is 620 yen ($6.20) for those over the age of 18. 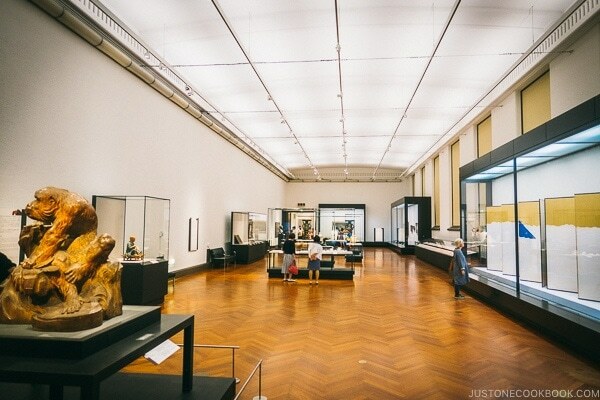 It’s free for everyone under 18 and over 70.